This unusual recipe of muffins will make a perfect side-dish for your festive dinner. 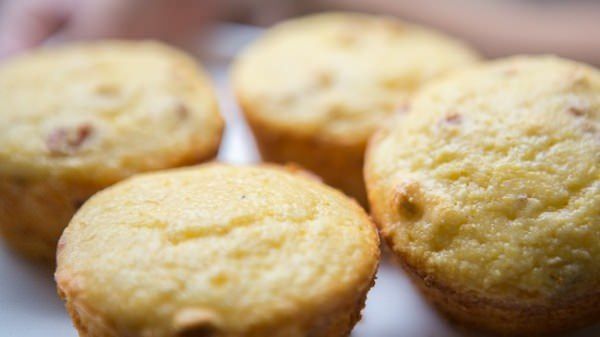 There`s no need to buy pre-made muffins or rolls when you can cook these delightful muffins at home. Nothing can be compared to garlic and sun dried tomato corn muffin, believe me! Preheat the oven to 375 degrees and grease 2 muffin tins. In a large bowl mix together the corn, garlic, muffin mix, tomatoes. In a separate bowl blend together the sour cream, buttermilk and eggs. Combine the buttermilk mixture with the second one and stir well. Fill the muffin tins only for a half and bake for 15 minutes. When the tops get golden, muffins are ready.